The production facility of Soko Stark in Belgrade produces 60,000 Najlepse Zelje chocolates of 90 grams each in eight hours. 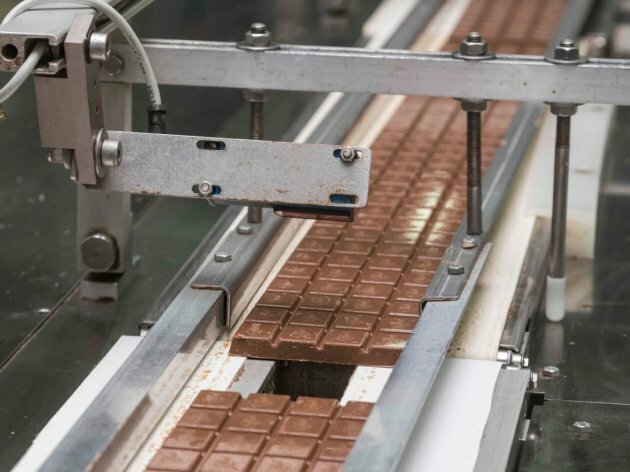 Depending on the type of product, 10 to 30 tons are produced here a day, and a total of 5,000 tons of chocolate is made in the Soko Stark plant annually. This is a fifth of the portfolio of the company, which recorded a growth of sales by 5.7% in the first nine months if 2017. The factory sells 65% of its production in Serbia, whereas the rest is exported, primarily to the countries of the region, and the plan is for the exports to equal the sales in the local market. This year, in which the entire confectionery industry continues to realize successful results, is also an anniversary year for Soko Stark, which is celebrating 95 years since the production of its first chocolate. 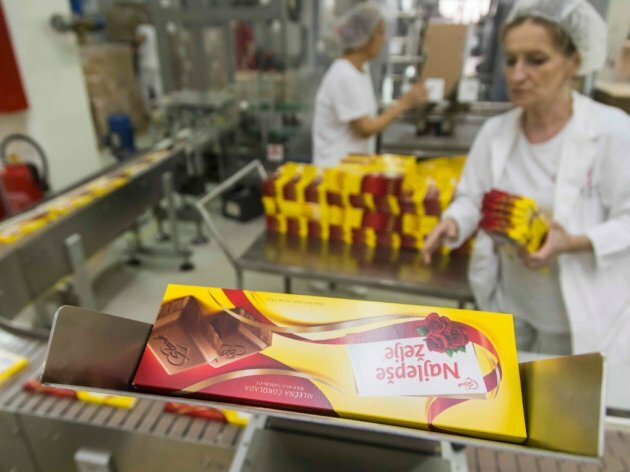 Najlepse Zelje, together with Menaz, ensures that Soko Stark maintains the leading position in the field of production of chocolate bars in the Serbian market, ahead of the regional leader, Milka. – The Najlepse Zelje brand is the second biggest player in the market, with a 19% market share. The sales results are very good, and the production of chocolate will reach 5,000 tons this year as well – Jelena Petrovic, Marketing Manager at Soko Stark, says for our portal and adds that their further ambitions are directed primarily at realizing a growth in the region. – Najlepse Zelje is sold in Bosnia and Herzegovina, Macedonia and Montenegro. It is present on all continents, but it is mostly sold through ethno-channels there. We export smaller amounts outside the region, and they are primarily meant for consumers with origins in these areas. Soko Stark will use brand recognition to further expand its range of chocolate products, and Petrovic announces new exotic flavors, as well as sweet and salty combinations, for the next year. – Consumers have come to expect a chocolate that's not just a chocolate increasingly more. This year, we have launched Najlepse Zelje Kokos and Noisette, and we also have a well prepared plan and will accordingly launch unusual flavor combinations next year, with special innovations in the segment of products for children – Petrovic says and adds that a part of the innovations relates to the healthy program. The company doesn't exclude the possibility of entering the segment of sweet spreads, such as creams. As Petrovic points out, they have a strong brand which can be feasibly brought into that category as well. – This is, however, an option in the long term. I can't say that we plan on entering this segment now, but we are certainly considering those options as well. Unlike other products in the market, the production of Najlepse Zelje does not involve the use of vegetable fats. Instead, it is made from pure, high-quality cocoa butter, Soko Stark explains. The first phase involves a careful mixing and homogenizing of ingredients, after which the mass is put through a series of heavy rolls until small chocolate particles are formed. This phase gives Najlepse Zelje its specific flavor, scent, texture and fine melting ability. The conching of all the carefully selected ingredients of Najlepse Zelje, in fact the continuation of the homogenization of the chocolate mass, and heating at high temperatures follow. It is in this process that the chocolate's characteristic aroma is formed. The production process is nearly fully automated, and Soko Stark has invested over EUR 20 million in the past ten years in modernizing the operations.